Renewable Energy Internships & Jobs on Handshake…SO MANY!!! From Middlebury alumni Bob Hinkle and Dylan Peters: Metrus Energy is a leader in energy efficiency (EE) financing for large retrofit and building upgrade projects at commercial, industrial, and institutional facility portfolios. They are looking to hire for a paid Summer Business Development intern for their headquarters in San Francisco, who will assist Metrus’ Business Development team in originating, developing, and financing large-scale energy efficiency projects for Fortune 500 and major institutional customers. Designed as a learning opportunity for students interested in renewable energy, energy efficiency, or cleantech finance, the Summer Business Development Intern will be exposed to ongoing training sessions with Metrus leadership on topics related to cleantech project finance and energy efficiency. While an ideal candidate will have some basic familiarity with current trends in utility markets and energy efficiency, the most important prerequisite for the Summer Business Development Internship is a demonstrated interest in exposure to work at the nexus of sustainability and financial services. Students from all academic backgrounds are encouraged to apply. Clean Energy Group is a leading national, nonprofit advocacy organization working on innovative policy, technology and finance programs in the areas of clean energy and climate change. We promote effective clean energy policies, develop low-carbon technology innovation strategies, and work on new financial tools to advance clean energy markets. Our projects concentrate on climate and clean energy issues at the state, national, and international levels as we work with stakeholders from governments, and the private and nonprofit sectors. The Summer Research Assistant will carry out research, writing, data collection, and administrative tasks related to CESA’s programs. The Research Assistant will primarily conduct work on CESA’s solar projects, but occasionally will focus on other clean energy-related policy matters. Paid and in Montpelier, VT. More information and to apply on Handshake, click HERE. The Solar Energy Industries Association (SEIA®) is the driving force behind solar energy and is building a strong solar industry to power America through advocacy and education. As the national trade association in the U.S., we represent all organizations that promote, manufacture, install and support the development of solar energy. SEIA is looking for an intern to work on a variety of high-priority membership, business development, and outreach functions focused on growing the overall revenue of the association. Paid and in Washington, DC. More information and to apply on Handshake, click HERE. SEIA is looking for a summer intern to work on a variety of high-priority research projects focused on the U.S. solar industry. Internship duties will include, but are not limited to: solar industry and energy policy research, data collection and analysis, construction of data visuals, and professional writing (that could include fact sheets, reports and/or web content). Paid and in Washington, DC. More information and to apply on Handshake, click HERE. Many more SEIA internships in Handshake…. Cleantech Open Northeast is the world’s largest and oldest clean tech startup accelerator. Our six month program teaches startups the skills needed to successfully complete their business development, and speeds along the process that all startups have to go through. The NYC Metro Area for the Cleantech Open Northeast is seeking unpaid Cleantech Open Start-up Interns (“CTO Start-up Interns”) to assist participating companies, called “Semifinalist Teams”, with the production of deliverables for this summer’s accelerator program. Each CTO Start-up Intern will have the opportunity to work closely with real cleantech startups, to gain experience in the cleantech industry and establish connections with professionals in the greater Northeast cleantech ecosystem. This is unpaid, but a unique opportunity to gain experience in the cleantech industry. More information and to apply on Handshake, click HERE. Modern Energy is an energy asset management firm that invests in businesses that bring emerging energy technologies to market and the energy resources those businesses produce. From energy efficiency in the United States to solar projects in Brazil to virtual power plants in the United Kingdom, Modern supports leaders in the transition to a digital energy ecosystem. When you join Modern Energy as a Summer Analyst, you are joining a private equity firm that will challenge you and invest in your professional development. In this role, you will work with Modern Energy the fund manager as well as its portfolio companies that are working to drive the transition to affordable, reliable, sustainable energy. This is a paid position in Durham, NC. More information and to apply on Handshake, click HERE. 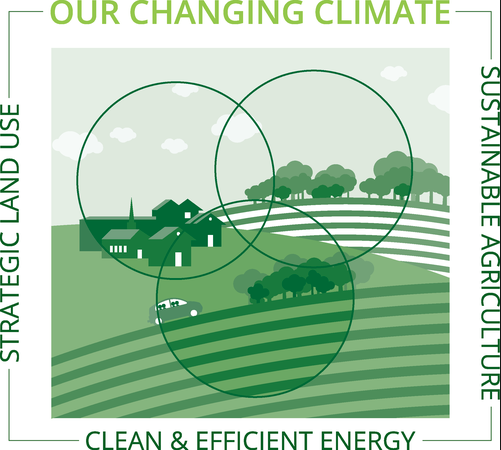 Cambridge Energy Alliance (CEA) was created in 2007 to help Cambridge residents and businesses identify and pursue energy efficiency and clean energy opportunities. Through outreach and education CEA helps facilitate energy efficiency improvements and assist in renewable energy adoption by coordinating with energy assessment providers, construction experts, financial institutions, and renewable energy providers. The Energy Efficiency and Renewable Energy Intern will assist in CEA’s efforts to reduce energy demand and drive commercial and residential renewable energy adoption in the City of Cambridge, increase awareness of CEA’s programs by overseeing the development and dissemination of outreach materials, and by coordinating and executing outreach across the City. This is a paid internship located in Cambridge, MA. More information and to apply on Handshake, click HERE. 3Degrees is a certified B Corporation with the mission to connect people with cleaner energy on a massive scale — in part by providing renewable energy opportunities to residential and commercial utility customers. They are looking for outgoing, passionate and enthusiastic outreach associates to drive their community education and activation efforts through person-to-person tactics like [door to door canvassing, and event tabling]. You will be a stellar verbal communicator with infectious enthusiasm who shares their vision for a sustainable world. You will increase awareness and participation in the Maine Green Power program by approaching customers, delivering pitches, and discussing program benefits. This is a paid position in Portland, ME. More information and to apply on Handshake, click HERE. California Environmental Associates (CEA) Recruiting is assisting CLASP with this search. CLASP’s mission is to improve the energy and environmental performance of the appliances & equipment we use every day, accelerating our transition to a more sustainable world. CLASP is seeking experienced and motivated professionals with an interest and/or background in energy access, international development, policy, and/or engineering to help us execute our portfolio of clean energy access initiatives. Central among these is an ambitious new research and innovation program known as Low-Energy Inclusive Appliances (LEIA), which focuses on accelerating off- and weak-grid markets for highly efficient appliances. LEIA is funded by the United Kingdom’s Department for International Development and will support a suite of high-impact market development, technical, policy, research, and innovation interventions.This position is full-time and based in the organization’s Washington, D.C. office. More information and to apply on Handshake, click HERE. LA Solar Group is one of the fastest growing solar companies in the country, but we pride ourselves in the quality of our equipment, design, installation, and service. We have highly-trained specialized staff that is the best at each step of the solar design and installation process. This is a paid job and located in Van Nuys, CA. More information and to apply on Handshake, click HERE. CED Greentech is our solar-focused group within the CED organization. In order to support our current growth plan, we need talented people to join our organization in our Solar Training Program.We offer full training to successful candidates. You bring the talent and energy, and we provide the resources and guidance. The program is focused and demanding, and is customized for each candidate based on past experience. CED Greentech has 33 locations in the US and is a paid position. More information and to apply on Handshake, click HERE. There are TONS more opportunities. Check out Handshake and use some relevant keyword searches: Solar, energy, cleantech, wind, etc…Lots to be found there!! This entry was posted in Midd Blogosphere and tagged Clean Energy, Finance, Consulting, and Business, Government, Law and Policy, international, Internships, Jobs, Renewable Energy, research, Social Impact, Uncategorized on April 15, 2018 by Tracy Himmel Isham. Want to be at the nexus of where technology and clean energy intersect…everyday? Powerhouse is an Oakland based co-working space and seed fund that houses and invests in ‘intelligent energy’ entrepreneurs building software-enabled solutions for the clean energy industry. Their co-working space houses over 100 intelligent energy entrepreneurs and over twenty clean energy startups and organizations. Their seed fund invests in them. Powerhouse supports entrepreneurs building a future powered by clean energy. Since inception, Powerhouse has hosted 50 startups and organizations, invested in 17, and celebrated 5 acquisitions. As of 2016, Powerhouse startups have generated at least $53M in revenue, raised $287M in capital, employed 386 people, and collectively contributed to the installation of 242 MW of solar in the US and abroad. Powerhouse hosts three signature events each year: Suncode Hackathon, Powerhouse Pavilion & Circle at Intersolar, and New Dawn. They also host Watt It Takes, a monthly event series featuring the personal stories of clean energy entrepreneurs and the companies they’ve built. Powerhouse also partners with corporate leaders to host targeted technology events that connect investors and industry to startups in the Powerhouse community. Collectively, their events touch thousands of clean energy entrepreneurs, investors, and industry executives. Internship opportunities at Powerhouse offer insight into entrepreneurship, exposure to trends within the clean energy industry, and access to our extensive network of industry executives, investors, and thought-leaders. Submissions from passionate and self-directed applicants are reviewed on a rolling basis. To apply, send your resume and cover letter to hello[at]powerhouse.solar. This entry was posted in Midd Blogosphere and tagged Clean Energy, internship, Social Impact on December 11, 2017 by Tracy Himmel Isham.